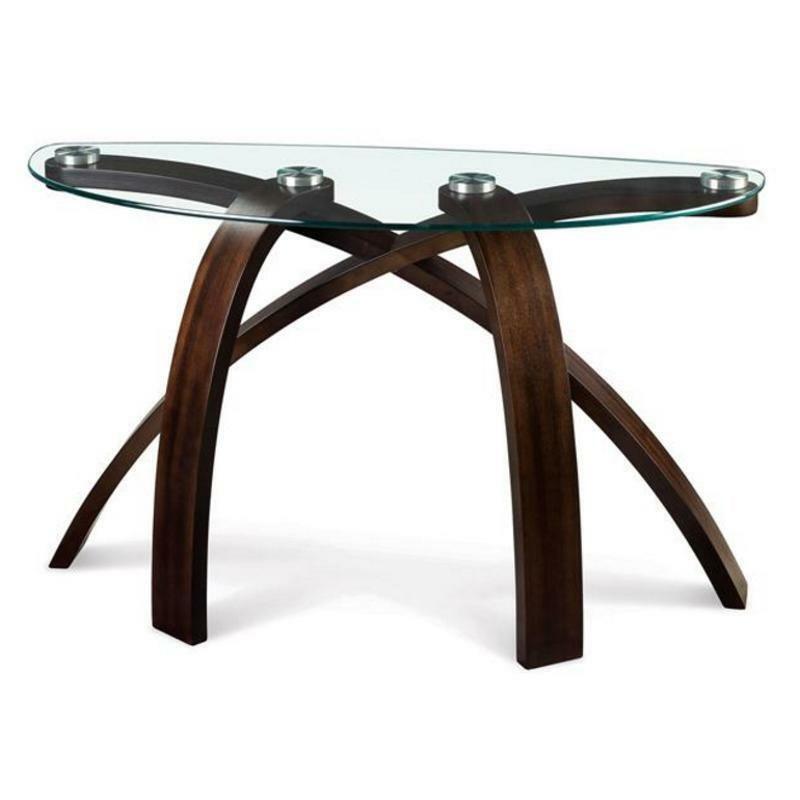 This sleek modern sofa table will give your living room style. 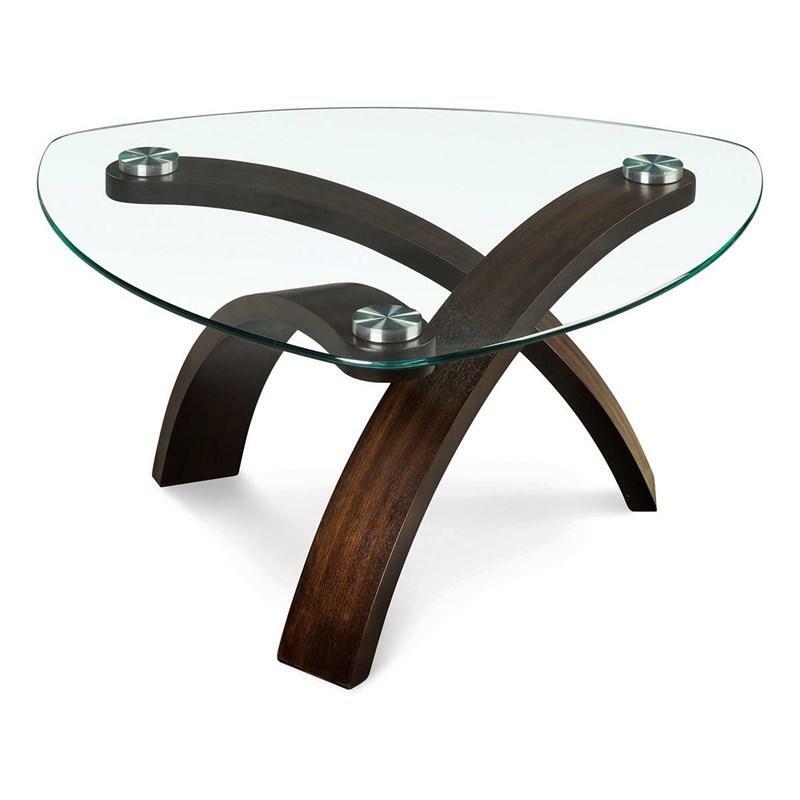 The ten millimeter thick glass table top is organically shaped, and rest on cool steel pucks. 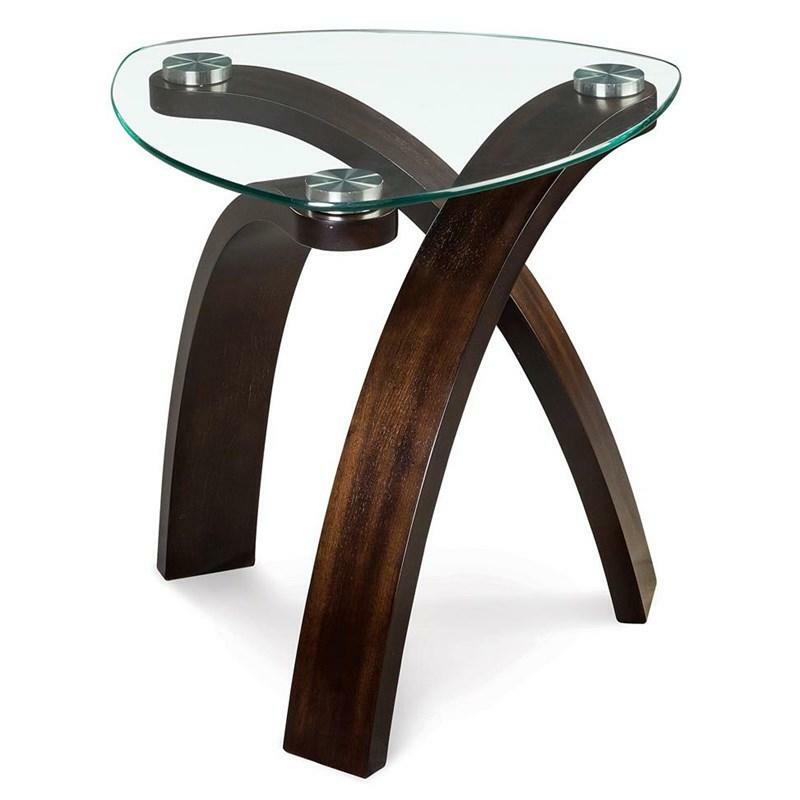 Gently curving bent plywood legs with walnut veneers warm up the piece, and are finished in a dark hazelnut stain. 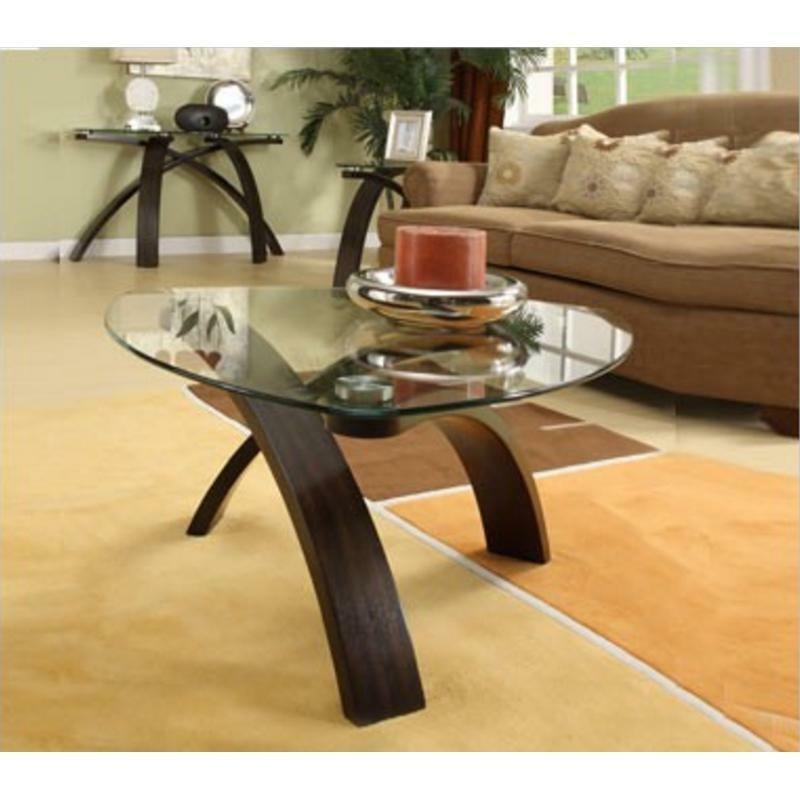 This stunning sofa table will look great in your modern home.